Thre are basically two ways to enter the financial services industry. You can either build a book of business, or you can buy one. Unfortunately for the average advisor at age 58, millennials’ fear of taking on debt means the pool of eligible young successors may be small. For potential successors, this means that while there is a lot of literature for advisors on how to prepare a book for sale, there is not so much about how to protect yourself when buying a practice. Here are some of the key things I learned about succession when I bought my practice at age 25. Most sellers market their practice based on revenue, but the distinction between first-year commission and recurring revenue is often overlooked. When you take over a practice, the first six months or more are spent repapering client accounts. This needs to be a priority, because otherwise you don’t get paid. In addition, clients may still be testing the waters with you as they ponder the decision to stay, and until rapport is established, there is little opportunity to grow the book. Therefore, recurring revenue, not the total revenue of the practice, should form the basis of your valuation. Professionals typically recommend an integrated five-year transition, where the successor advisor works side-by-side with the current advisor – this is vital for clients to feel comfortable with the transition. From the successor’s point of view, however, this five-year timeline is the difference between managing a book of business and managing a bunch of accounts. It’s an opportunity to understand and become fluent in the processes and procedures that the current advisor uses to support their workload, and to understand the philosophies that have been impressed on clients. A five-year transition with an advisor who has an integrated CRM; a segregated client base with standardized servicing levels; documented, easy-to-follow systems and procedures; a written business plan and marketing plan; a documented investment philosophy; and up-to-date furniture and software is an ideal practice for a new advisor to get comfortable in. If the exiting advisor has no intention of a prolonged transition, no coherent strategies or procedures, no CRM software, 10-year-old computers and a paper-based filing system, then this book should be discounted heavily for the amount of work you would need to do to turn it into a modern successful practice (not to mention the likelihood of a high bleed-off from clients who feel used and abandoned). Finally, the most important thing you need to consider when you’re looking at purchasing a practice is the personality of the exiting advisor. Every advisor naturally attracts clients with similar personalities, and thus client perceptions of the advisory relationship will be based on that personality. If you have a permissive personality and they operate as a dictator, will you be comfortable working with clients who expect to, or maybe even want to, push back? If you’re a deep value buy-and-hold investor, and they like to diversify beyond all reason, how will you impress your views on clients without damaging the transition? If you have strong analytical and presentation skills, and they focus on eloquence and persuasion, will this be a complement or a conflict? If the exiting advisor’s personality isn’t a good fit, then there’s a good chance the clients won’t fit either. 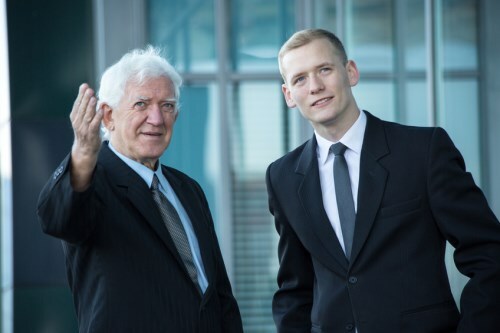 Most older advisors enjoy sharing their knowledge and would be happy to take on an apprentice. Becoming a successor to a more experienced advisor with a similar personality can be very fulfilling. If you’re a millennial looking for a safe transition, flaunt your technology skills, your social abilities, your ethics, your belief in education, and your desire to work with and give back to your community. Never go in with expectations of grandeur, and never compromise on your values. Demand transparency, be an optimist and persevere. It’s worth it. Meagan S. Balaneski is a Certified Financial Planner with Advantage Insurance & Investment Advisors, part of Manulife Securities Investment Services.